July 1st, 2011: Meet DeskTime – the automatic time tracking software! DeskTime goes online on July 1st, 2011 under the wings of the Draugiem Group, the Latvia based IT company. The main idea of DeskTime, from its day one, is to increase workplace transparency between employees and management, and to make sure work time is spent faithfully. Time tracking makes it possible for managers and employees to see where their time goes, then change their unproductive habits in order to get more done while in the office, leave work on time and don’t bring their unfinished tasks home. Three weeks after the launch, on July 22nd, the very first customer registers and begins tracking time with DeskTime. Time tracking is still the core feature of the app. Within 6 years, DeskTime has already tracked over 18 million hours, which is almost 2044 years of time. The Canadian born Latvian, Julia Gifford becomes the first full-time employee of DeskTime. She starts as a customer support manager, then becomes DeskTime’s marketing manager. Today, there are 7 people on the DeskTime team: the CEO, the customer relations manager, three programmers, one designer, and a content marketer. And while the team has greatly changed over time, there’s one person who’s working for DeskTime since the day one. His name is Mikus, and he’s a programmer. Six years later, Artis is still running the company. 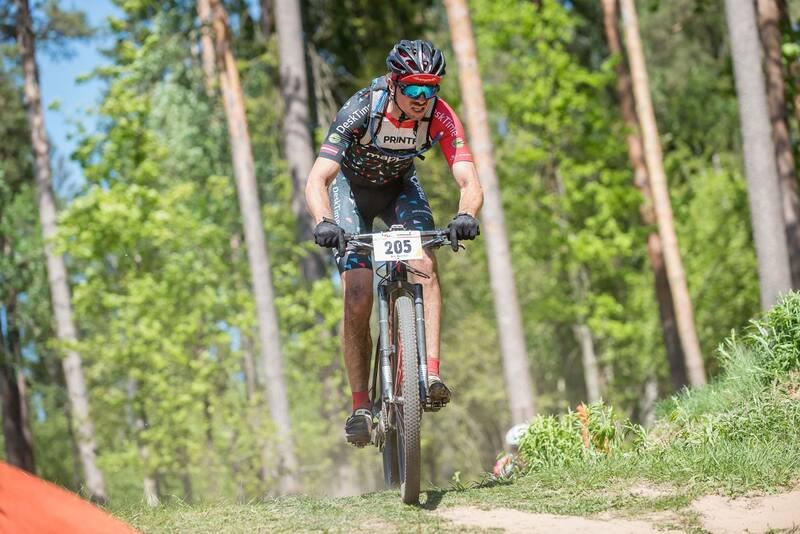 Today, he’s not only the CEO of DeskTime, but also the most awesome dad of his baby daughter and a guy with a tough and challenging hobby – mountain biking. A USA based company 121 USA LLC signs up and becomes DeskTime’s customer in January 2012. 121 USA has been with DeskTime for 5 years and 7 months, as of the day of writing this post. During the last six years, over 6000 other companies have joined DeskTime. On average, the teams are around 20 people, and mostly come from Europe. Though, our biggest customer come from across the ocean – the USA based company has 447 people using DeskTime in different departments. On February 1st, the first article is published on the DeskTime blog. The blog is made as the place to share the latest productivity insights, as well as tips and tricks on how to optimize one’s time. In the meantime, DeskTime also gets featured in other world-famous blogs and online media, after releasing a new study that reveals the working habits of the most productive people. The best known are Mashable, The Washington Post, Lifehacker, Inc, but there are many more. 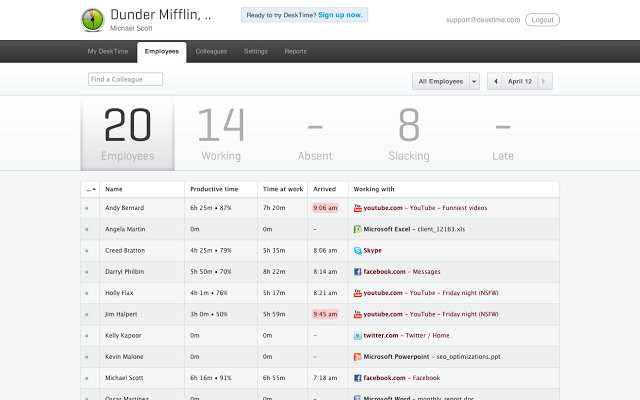 Adding various major features, DeskTime launches its second version. From now on, users can track their projects and tasks with the Projects feature, create and download Reports, and track their Offline time – read: log the time they’ve spent away from the computer. The new version also has a fresh, user-friendly design and better visualization of the tracked data. A few years later, after the launch of DeskTime V2, the app gets another update and becomes the software as we know it now. Another set of much requested features are added, including the Absence calendar and Colleagues. The new features let teams better organize their time off and store colleagues’ contact information in one place. Employees: allows managers to see in the real-time what apps and programs their employees are using or what documents they’re working on. 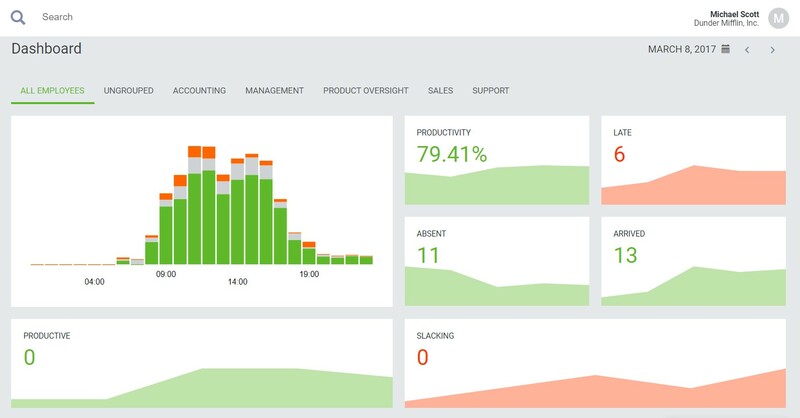 Projects: allows managers to assign tasks to team members, track time spent on certain tasks, and calculate project costs. Reports: lets you create reports about the company’s overall productivity, then download an easily shareable CSV file. After insistent customer requests, DeskTime adds a new feature – Screenshots. The new feature lets managers capture employees’ screens in random 15-minutes intervals and that way follow the work in progress. It is mostly used to manage remote teams, where employees are paid by the hour. While optional and not activated by default, the Screenshots feature is greatly popular. Since its launch in the beginning of March 2017, DeskTime users have already taken nearly 3 million screenshots. Though, there’s still room to grow. The data also reveals that we have not entirely given up our unproductive habits and keep wasting time at work. First integrations with other apps: we’ll start with the Google Calendar and/or Outlook Exchange Calendar, which will let you synchronize your calendar with DeskTime. Improved Absence Calendar: the new Absence Calendar will let employees request vacation and sick days through DeskTime, which means less paperwork. Shift Scheduling feature: the new feature will be a handy addition for managers who plan shifts and make work schedules for their employees.